One of the few modern contemporary apples we offer, Honeycrisp is an outstanding dessert apple we highly recommend for colder climates. Unfortunately, the apple does not perform well in hotter, more humid climates. Honeycrisp was developed from a cross of Macoun and Honeygold, as part of the University of Minnesota apple breeding program to develop winter hardy cultivars with high fruit quality. 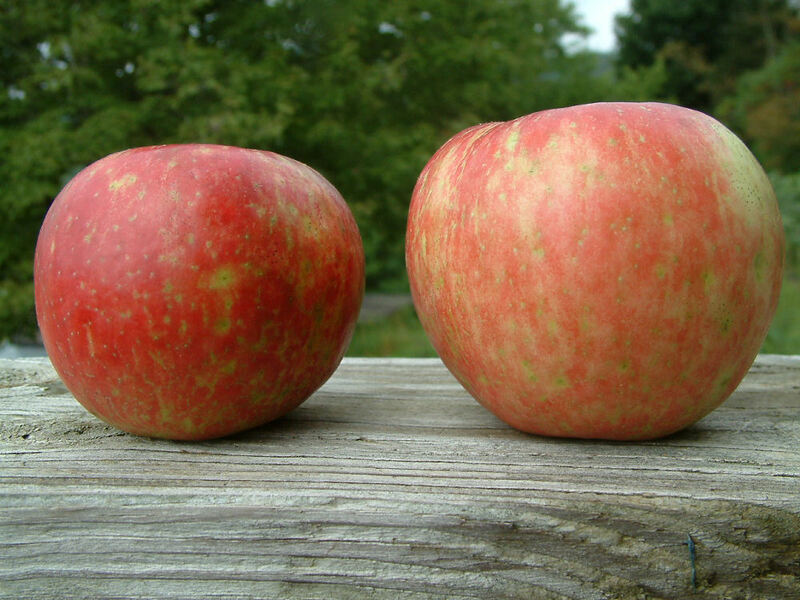 Fruit medium to below large, roundish oblate with distinctive red mottled skin. The cream-colored flesh is firm, coarse and exceptionally crisp and juicy. Ripens September and is an excellent keeper.